The Following presentation of images and text are brought to you by Paul C. Hunnell and Kevin Musser, with a lot of help from Larry Wright. These images are from the Paul C. Hunnell Collection and are copyright in the same way as other material located on this site (for personal use only, without consent). The original color slides were taken by Paul C. Hunnell on the dates shown. The slides were scanned using a slide scanner. If you are looking for Part I of this series go here. If you are looking for Part II of this series go here. If you are looking for the C&H series go here. 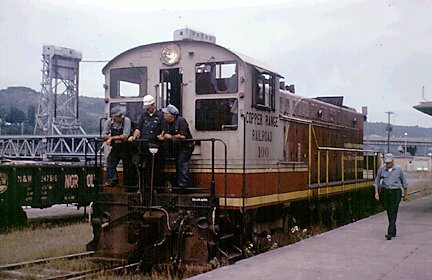 Copper Range Baldwin, #100 and crew at the Houghton depot. I can't be sure who the crew is but here is a clipping from the Winter 71-72 CR News. 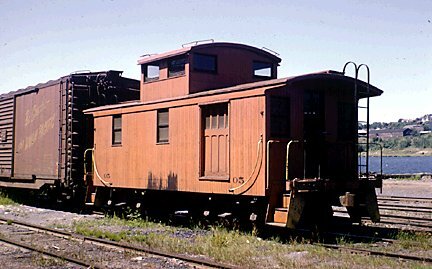 The photo was taken on August 12, 1969. More photos from this trip to follow. 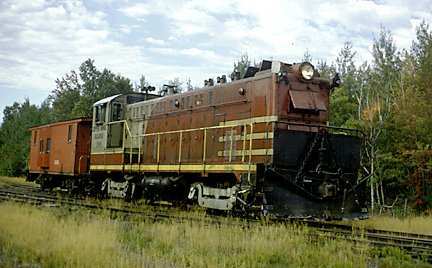 Copper Range Railroad employees, from left, are: Cy LaBissoniere (35 years), Bill Siltala (40 years), Wilbert Anderson (30 years), Toivo Lohela (25 years) and Harold Eilola (26 years). I bet these guys had a few stories. 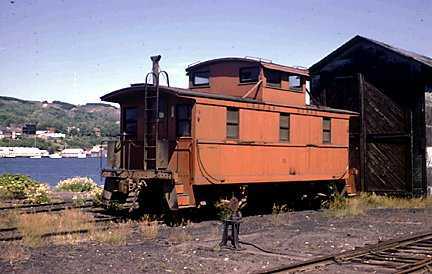 This photo was taken on 9/19/72 and shows #01 next to the CRRR Ranger shed. 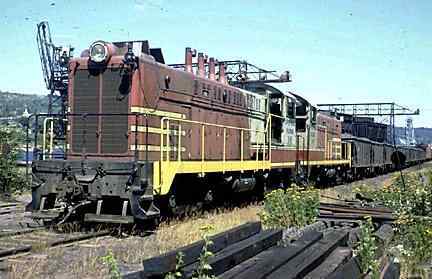 This photo shows 101 and caboose #605 arriving at the passing siding just south of M-26 in Lake Linden on 9/19/72. 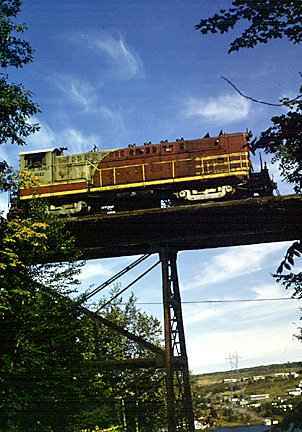 CRRR engine #101 over the Old Mill Hill Road bridge during September 1972. 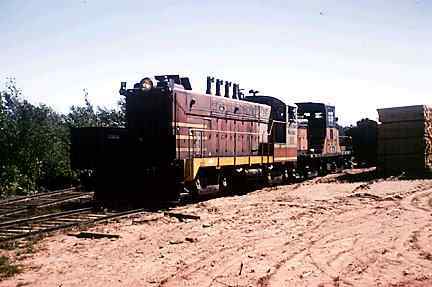 Paul captured this view of #101 running backwards towards Mill Mine Junction at the location of the Old Pawabic mill. 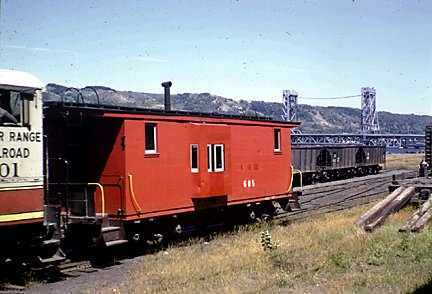 Shown here in late 1972, the first of a series of photos following Copper Range #101 from Ripley, to Lake Linden, back to Houghton, during the final days of the Copper Range. 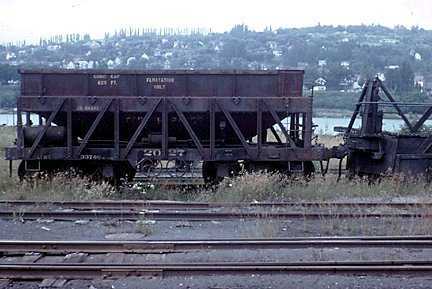 COPR #2027 was built by the Pressed Steel Car Company in 1906 and used for concentrate service later in life. 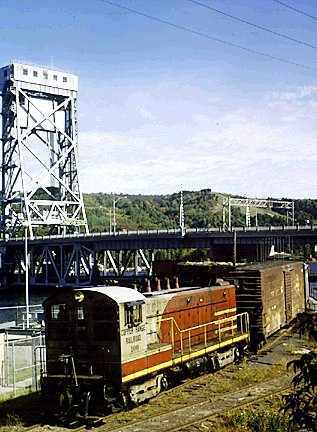 A fine shot of #100 returning to the yard in Houghton, with the bridge in the background. A weekly feature which started on 8/19/98 and will contain 24 photos when complete.